The sequel looks just as wild as the first film. 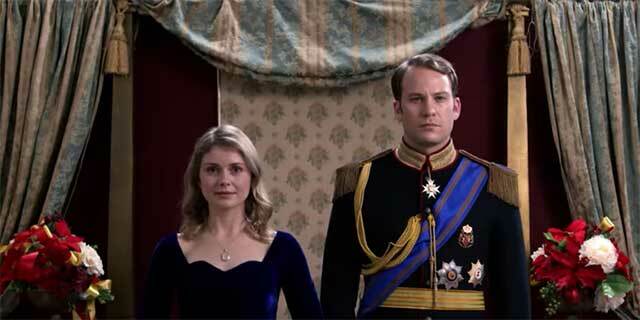 Netflix made everyone's dreams come true in May by announcing that A Christmas Prince was to get a sequel centered around Amber and Prince Richard's royal wedding. And now the trailer's been released, and we've never felt more festive! The original film was everyone's guilty pleasure back in December 2017, and producers have decided to capitalize on its success by giving fans another glimpse into the fictional nation of Aldovia. Netflix first announced the second installment on Twitter and even dropped a teaser trailer featuring Amber making notes on whether she's "in too deep" with the royal preparations and if she can feasibly get hitched in Converse trainers. "Hear Ye, Hear Ye, Ms. Amber Moore and His Royal Highness Prince Richard of Aldovia kindly request the honor of your presence at their royal wedding later this year," the tweet reads. The last film wrapped up with Prince Richard discovering that he was the rightful heir to the throne despite being adopted, while also coming to terms with the fact that Amber was an undercover journalist throughout their entire romance. A Christmas Prince: The Royal Wedding is due for release 30th November!